The big day is coming up and you've been planning the perfect playlist! One that is tuned perfectly. You've combed over it thoroughly and you're sure, this is it. Preludes - Songs to play before the ceremony, as guests are being seated. Bridal Party Entry - Song to play as the bridal party makes their way down the aisle. Recessional - Song that everyone exits to. Grand Intro of the Bridal Party - Song to play as the bridal party makes their way into the reception. Grand Intro of the Couple - The song that you and your new husband will enter into the reception to. First Dance - The song that you and your new husband will dance to, as everyone falls over their chairs. Father-Bride Dance - The song that you and your dad will sweetly dance to. Mother-Groom Dance - The song that your husband and his mother will dance to. Cake Cutting - The song that you both will cut into that gorgeous cake to. Bouquet Toss - The song that you'll throw your magical bouquet to 1 lucky woman. Garter Toss - The song that he'll throw his lacey garter toss to 1 lucky man. Last Dance - The song that will end this magical night, 1 that means the most to you both. Grand Exit - This song is the one that everyone will be shouting over, but nonetheless, is still important! Not to forget, you also have your Dinner & Cocktail music. As well as your Open Dance music. Some DJs can read the room, which is extremely important in getting your guests fully engaged and moving the crowd. I know, I know, who would have thought Miley Cyrus. But it's true, this song is easily a song everyone wants to sing to during Open Dance. Live on, Miley. This was easily created for all the single ladies at weddings. Which is what makes it even more popular! Queen Bey wanted an empowering song, and so she made one. Cue the crying noises. This song is often used in First Dances. It's the sweetest devotion, why wouldn't you use it? Ta-da, here you have a very popular song used in Open Dance. Whoever does not participate, is a true winner. It's hard to stand still when you know every move. A very popular song used to get everyone to sing, and it truly works. It's like it's magic or something. How can you NOT laugh to this song? Looking around you see everyone getting into it, and they are really getting into it. A tribute to all the ladies who loved Vanilla Ice back in the day. You aren't aware of it when choosing it, until the day of, you finally realize that literally every guest (other than Great Grandma Betty) will jump to this song. Everyone's a big fan! In heeeeere. This is usually the song used in the Grand Entrance, because you're getting your life started together. Get it? And cue the corny dance moves. It might be okay to play this song in Hot Yoga but on the dancefloor? It gets even crazier. Everyone goes wild to this song. The most gripping song that ever existed. Unless you want your guests lighting a lighter and waving it in the air while shifting back and forth, then you probably don't want to use this song. We hope that this provided you with some good information, if for not a good laugh. Wedding planning should be a fun process, and when it gets too serious and the fun is taken away, we're here with another round of humor. 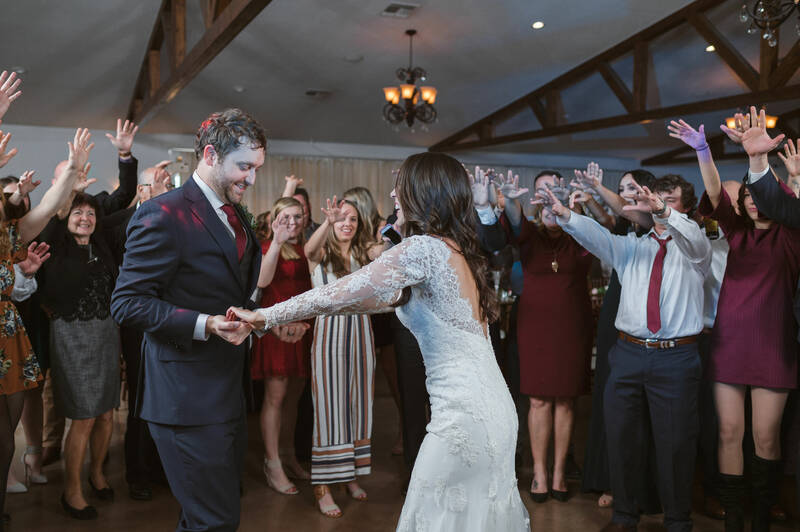 If you're also in need of a DJ, feel free to get a quote here.Connect with us on Facebook and Instagram to find quick information and insights on our wedding DJ services.